Costa Rica, which literally translated means “Rich Coast”, is a small country in Central America bordered by Nicaragua to the north and Panama to the south. Costa Rica is officially a democratic Republic with no armed forces, which has earned itself the nickname of “the Switzerland of the Americas”. With a very stable economy, and a thriving Eco-tourism industry, it’s understandable why Costa Rica is quickly becoming one of the most popular and desirable vacation countries in the world. The people of Costa Rica, locally known as “Ticos”, are some of the friendliest and most hospitable people you will ever meet. Recent studies by the Happy Planet Index have shown that Costa Ricans are the happiest people in the world. When you see the lush tropical jungles, beautiful pristine beaches, active volcanoes, and breath-taking landscapes you will understand why. 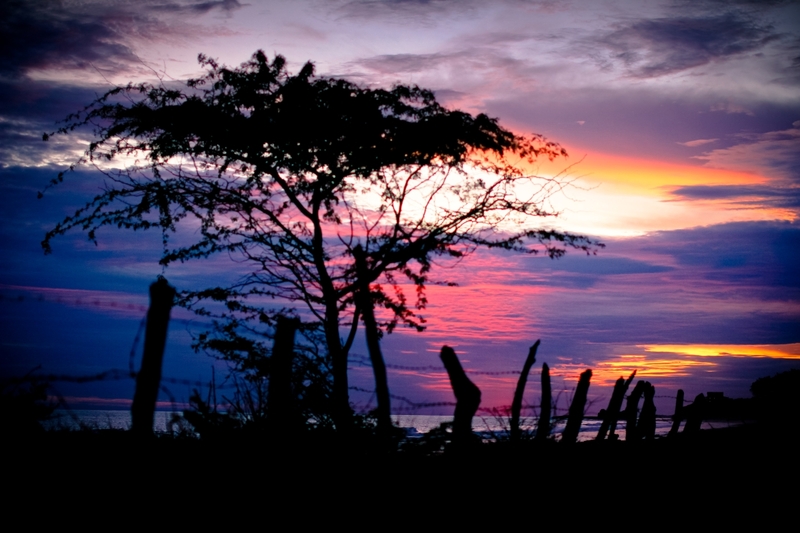 Costa Rica is located between 7-9 degrees north of the equator so there is no daylight savings. The sun rises about 5:30am and sets about 5:30pm year round. Air temperatures range from about 75-90, and water temperatures range from about 75-80 degrees. Wind conditions are very consistent year round. Mornings are usually “off-shore” until 10-11am, then light “on-shore” until the sunset “glass-off” in the late afternoon. 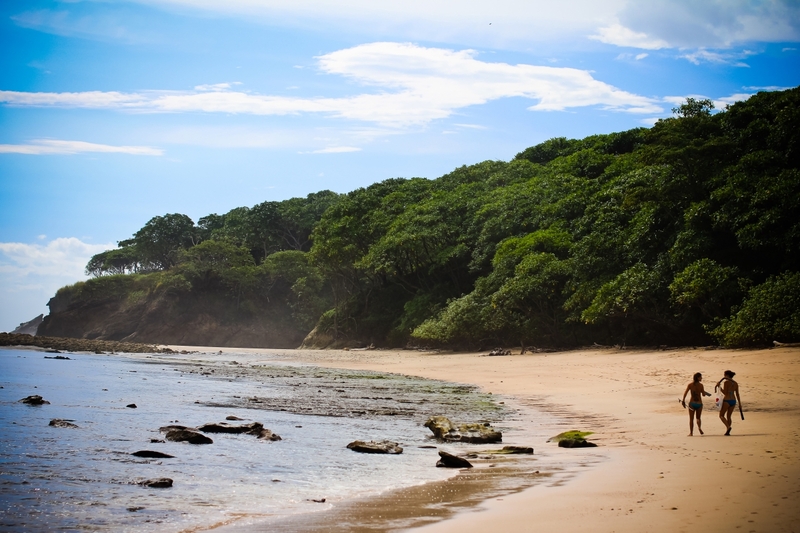 There are 2 main seasons in Costa Rica, “green” and “dry”. The green season is from April-November and is characterized by bright, sunny mornings with showers in the afternoon. The dry season runs from November-April and is exactly that, DRY. You may see some light rain in the beginning of November and the end of April, but Dec-March is characterized by blue skies, off-shore winds, and perfectly groomed waves. The beach where Nosara Surf Academy teaches is ideal in the fact that it receives waves from all swell directions. The green season brings bigger swells from the southern hemisphere, and the dry season brings smaller, usually cleaner swells from both the northern and southern hemispheres. So that means you can basically surf here ALL YEAR!